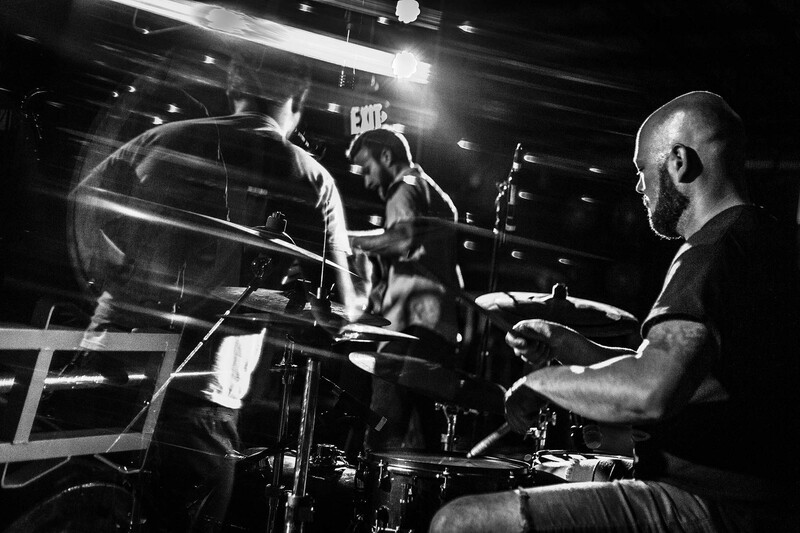 Dumb Waiter is an American avant-jazz rock band formed in late 2012 in Richmond, VA who write a melodic amalgam of math rock, jazz, metal, and punk. The band is comprised of four members who have varying levels of musical education, but have achieved a high level of technical proficiency on their respective instruments. Together they blend a love for heavily distorted tones, melodic complexity, volatile energy, and augmented chord shapes to create “Dumb Waiter”. Thumping blast beats and effected bass grooves lay the bottom layer over which spiraling guitar work and free-wheeling sax noises progress and thrive.